Energy Action Network (EAN) is dedicated to producing the highest quality research and analysis on a wide range of issues related to meeting Vermont’s energy and climate commitments. EAN Senior Fellows are leading experts, not employed by any Network member, who are invited by EAN to regularly contribute research and analysis that is relevant to the Network’s mission: To achieve Vermont’s 90% renewable by 2050 total energy commitment and to significantly reduce greenhouse gas emissions in ways that create a more just, thriving, and sustainable future for Vermonters. Leigh Seddon is the founder of Solar Works, Inc., which became Alteris Renewables in 2008 and merged with Real Goods Solar in 2011. 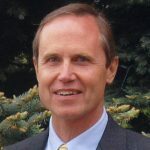 Over the 30 years since the founding of Solar Works, he has overseen the design and installation of thousands of photovoltaic and solar thermal projects in the U.S. and in developing countries. 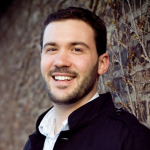 Leigh currently works as a renewable energy consultant located in Montpelier, Vermont. Over his career, he has served as an energy consultant to electric utilities, the U.S. Department of Energy, the U.S. Agency for International Development, and the World Bank. 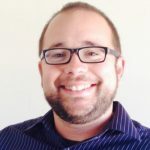 Leigh has also served as a trustee of Renewable Energy Vermont, the Vermont Public Interest Research Group (VPIRG), the Vermont Natural Resources Council, and other Vermont non-governmental organizations. He is currently Board Chair of Energy Action Network and a Senior Fellow. Linda McGinnis is an economist and policy analyst with over 30 years of developing concrete solutions to sustainable development challenges, both globally and locally. 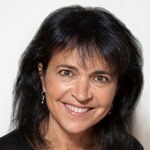 As a Lead Economist and Senior Manager at the World Bank for 20 years, she led research, policy negotiations and investments in environment, energy, education, agriculture, and health in countries across Africa, Latin America and South Asia. She is currently a Senior Fellow and Board Member with EAN. Since moving to Vermont in 2010, Linda’s focus has been on state-level climate change strategies, renewable energy and energy efficiency policies and programs. She has provided her expertise across two administrations, serving as Director of Governor Shumlin’s Energy Generation Siting Policy Commission, as co-chair of the Clean Energy Development Fund, and as Commissioner for Governor Scott’s Climate Commission. 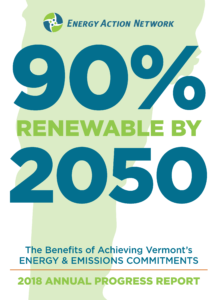 In 2015, she joined EAN as Program Director and initiated the annual Energy and Climate Progress Report as part of EAN’s goal of providing backbone support to help further Vermont’s strategic vision, investment and collective action towards its total energy and climate goals. Linda is also a Trustee and past Board Chair of the Vermont Youth Conservation Corps, and a founding member of the VCRD Climate Economy Council. She holds degrees from Stanford (BA International Relations), Princeton (MPA Development Economics), l’Institut des Etudes Politiques in Paris (MA Economic Policy) and Harvard Business School (Exec Ed). She is passionate about the future of the planet, of our beautiful state, and the role that each of us plays in ensuring that we do everything in our power to continue to enjoy its beauty. Karen Glitman is the Senior Manager for Market Development and Policy at the Center for Sustainable Energy (CSE) and a Senior Fellow at EAN. Karen Glitman was most recently the Policy Lead for Microgrids at the Vermont Energy Investment Corporation (VEIC). 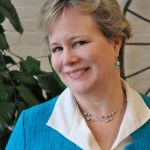 With more than 20 years of policy advocacy and public service experience, Karen came to VEIC in 2011 as its first Director of Transportation Efficiency, and then served as Director of Strategy, Policy, and Public Affairs before serving as the Director of Efficiency Vermont. Prior to joining VEIC, Karen was the Director of the University of Vermont’s National University Transportation Center and interim co-Director of its Transportation Research Center. She served as the Vermont Clean Cities Coalition Coordinator; held the positions of Director of Policy and Planning, Deputy Secretary, and Acting Secretary at the Vermont Agency of Transportation; and served as a member of the Vermont House of Representatives. She holds a Bachelor of Arts degree in Political Science from the University of Vermont and is a member of the Vermont Bar.